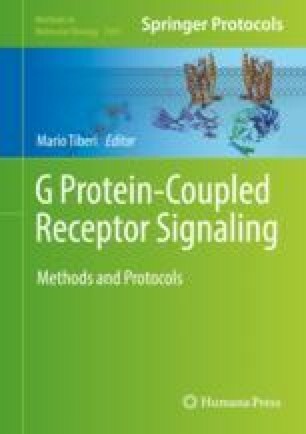 Although G protein-coupled receptor (GPCR) oligomerization is a matter of debate, it has been shown that the nature of the GPCR partners within the oligomers can influence the pharmacological properties of the receptors. Therefore, finding specific ligands for homo- or hetero-oligomers opens new perspectives for drug discovery. However, no efficient experimental strategy to screen for such ligands existed yet. Indeed, conventional binding strategies do not discriminate ligand binding on GPCR monomers, homo- or hetero-oligomers. To address this issue, we recently developed a new assay based on a time-resolved FRET method that is easy to implement and that can focus on ligand binding specifically on the hetero-oligomer. The development of the technique has been supported by the Fonds Unique Interministériel and OSEO in a collaborative program named “CELL2Lead”. Thanks are due to the plateforme Arpège of the Institut de Génomique Fonctionnelle. This work has been funded by the European Consortium Oncornet (HORIZON 2020 MSCA–ITN–2014–ETN–Project 641833 ONCORNET) (to J.H., and J.-P.P. and T.D. ).